I am a lover of writings from the era of the Puritans (approximately 1550-1750). Their understanding of the Scriptures and the application of the Word to practical living is a timeless guide for us all. Being that this weekend is Mother’s Day, today I would like to share a letter that Sarah Whipple Goodhue (1641-1681) wrote. Some background is that Sara was married to Joseph Goodhue of Ipswich, Massachusetts and they had 10 children. Sarah wrote this letter titled, “Valedictory and Monitory-Writing” just days before she would give birth to twins and children numbers 9 and 10. She suspected that she would not survive the birth and she did die 3 days later. Her letter would be read for inspiration through the 19th century. It offers advice to her husband & children and sheds light on the Puritan experience and her passion for the gospel to be implanted in the hearts of her children. Therefore in a few words I would declare something of my mind, lest I should afterwards have no opportunity: I cannot but sympathize and pity thy condition, seeing that thou hast a great family of children, and some of them small, and if it should please the Lord to add to thy number one more or two, be not discouraged, although it should please the Lord to deprive thee of thy weak help which is so near and dear unto thee. Trust in the living God, who will be an help to the helpless, and a father to the motherless: My desire is, that if thou art so contented, to dispose of two or three of my children: If it please the Lord that I should be delivered of a living child, son or daughter, my desire is, that my father and mother should have it, if they please, I freely bequeath and give it to them. And also my desire it, that my cousin Symond Stacy should have John if he please, I freely bequeath and give him to him for his own if thou art willing. And also my desire is, that my cousin Catharine Whipple should have Susanna, which is an hearty girl, and will quickly be helpful to her, and she may be helpful to the child, to bring her up: These or either of these I durst trust their care under God, for the faithful discharge of that which may be for my children’s good and comfort, and I hope to thy satisfaction: Therefore if they be willing to take them, and to deal well by them, answer my desire I pray thee, thou hast been willing to answer my request formerly, and I hope now thou wilt, this being the last so far as I know. Honoured and most loving father and mother I cannot tell how to express your fatherly and motherly love towards me and mine: It hath been so great, and in several kinds; for the which in a poor requital, I give you hearty and humble thanks, yet trusting in God that he will enable you to be a father and mother to the motherless: Be not troubled for the loss of an unworthy daughter; but rejoice in the free grace of God, that there is hopes of rejoicing together hereafter in the place of everlasting joy and blessedness. Brothers and Sisters all, hearken and hear the voice of the Lord, that by his sudden providence doth call aloud on you, to prepare yourselves for that swift and sudden messenger of death: that no one of you may be found without a wedding garment; a part and portion in Jesus Christ: the assurance of the love of God, which will enable you to leave this world, and all your relations, though never so near and dear, for the everlasting enjoyment of the great and glorious God, if you do fear him in truth. The private society, to which while here I did belong; if God by his Providence come amongst you, and begin by death to break you; be not discouraged, but be strong in repenting, faith & prayers with the lively repeatal of God’s counsels declared unto you by his faithful messengers: O pray each for another and with one another; that so in these threatening times of storms and troubles, you may be found more precious than gold tried in the fire. Think not a few hours time in your approaches to God misspent; but consider seriously with yourselves, to what end God lent to you any time at all: This surely I can through grace now say; that of the time that there I spent, through the blessing of God, I have no cause to repent, no not in the least. O my children all, which in pains and care have cost me dear; unto you I call to come and take what portion your dying mother will bestow upon you: many times by experience it hath been found, that the dying words of parents have left a living impression upon the hearts of Children; O my children be sure to set the fear of God before your eyes; consider what you are by nature, miserable sinners, utterly lost and undone; and that there is no way and means whereby you can come out of this miserable estate; but by the Mediation of the Lord Jesus Christ: He died a reproachful death, that every poor humble and true repenting sinner by faith on God through him, might have everlasting life: O my Children, the best counsel that a poor dying Mother can give you is, to get a part and portion in the Lord Jesus Christ, that will hold, when all these things will fail; O let the Lord Jesus Christ be precious in your sight. O children, neighbours and friends, I hope I can by experience truly say, that Christ is the best, most precious, most durable portion, that all or any of you can set your hearts delight upon; I for ever desire to bless and praise the Lord, that he hath opened mine eyes to see the emptiness of these things, and mine own; and to behold the fulness and riches of grace that is in the Lord Jesus Christ: To that end my children, I do not only counsel you, but in the fear of the Lord I charge you all, to read God’s word, and pray unto the Lord that he would be pleased to give you hearts and wisdom to improve the great and many privileges that the Lord is at present pleased to afford unto you, improve your youthful days unto God’s service, your health and strength whilst it lasteth, for you know not how soon your health may be turned into sickness, your strength into weakness, and your lives into death; as death cuts the tree of your life down, so it will lie; as death leaveth you, so judgment will find you out: Therefore be persuaded to agree with your adversary quickly, whilst you are in the way of these precious opportunities: be sure to improve the lively dispensations of the gospel; give good attention unto sermons preached in public, and to sermons repeated in private. Endeavour to learn to write your father’s hand, that you may read over those precious sermons, that he hath taken pains to write and keep from the mouths of God’s lively messengers, and in them there are lively messages: I can through the blessing of God along with them, say, that they have been lively unto me: And if you improve them aright, why not to all of you God upbraideth none of the seed of Jacob, that seek his Face in truth: My children be encouraged in this work, you are in the bond of the covenant, although you may be breakers of covenant, yet God is a merciful keeper of covenant. Endeavour as you grow up, to own and renew your covenant, and rest not if God give you life, but so labour to improve all the advantages that God is pleased to afford you, that you may be fit to enjoy the Lord Jesus Christ in all his Ordinances. What hath the Lord Jesus Christ given himself for you? if you will lay hold upon him by true faith and repentance: And what will you be backward to accept of his gracious and free offers, and not keep in remembrance his death and sufferings, and to strengthen your weak faith; I thank the Lord, in some measure, I have found that ordinance, a life-making ordinance unto my soul. Oh the smiles and loving embraces of the Lord Jesus Christ, that they miss of, that hold off, and will not be in such near relation unto their Head and Saviour. The Lord grant that Christ may be your Portions all. My children, one or two words I have to say to you more, in the first place, be sure to carry well to your father, obey him, love him, follow his instructions and example, be ruled by him, take his advice, and have a care of grieving him: For I must testify the truth unto you, and I may call some of you to testify against yourselves; that your Father hath been loving, kind, tender-hearted wards you all: and laborious for you all, both for your temporal and spiritual good: -You that are grown up, cannot but see how careful your father is when he cometh home from his work, to take the young ones up into his wearied arms, by his loving carriage and care towards those, you may behold as in a glass, his tender care and love to you everyone as you grow up: I can safely say, that his love was so to you all, that I cannot say which is the child that he doth love best; but further I may testify unto you, that this is not all that your father hath been doing for you, and that some of you may bear me witness, that he hath given you many instructions, which hath been to the end your souls might enjoy happiness, he hath reproved you often for your evils, laying before you the ill event that would happen unto you If you did not walk in God’s ways, and give your minds to do his will, to keep holy his sabbaths, to attend unto reading God’s Word, hearing it preached with a desire to profit by it, and declaring unto you this way that he had experienced to get good by it; that was I pray unto the Lord for his blessing with it, and upon it, that it might soak into the heart and find entertainment there: and that you should meditate upon it, and he hath told you, meditation was as the key to open the door, to let you in, or that into your heart, that you might find the sweetness of God’s word. Furthermore, my children, be encouraged in this work, your father hath put up many prayers with ardent desires and tears to God on behalf of you all: which if you walk with God, I hope you will find gracious answers and showers of blessings from those bottled tears for you. 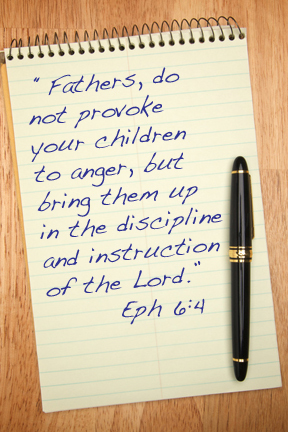 O carry it well to your father, that he may yet be encouraged to be doing and pleading for your welfare: Consider that the scripture holdeth forth many blessings to such children that obey their parents in the Lord, but there are curses threatened to the disobedient. My children, in your life and conversation, live godly, walk soberly, modestly, and innocently: be diligent, and be not hasty to follow new fashions, and the pride of life, that now too much abounds. Let not pride betray the good of your immortal souls. And if it please the Lord that you live to match yourselves, and to make your choice: Be sure you choose such as first do seek the kingdom of Heaven. My first, as thy name is Joseph, labour so in knowledge to increase, as to be free from the guilt of thy sins, and enjoy eternal Peace. Mary, labour so to be arrayed with the hidden man of’ the heart, That with Mary thou mayest find, thou hast chosen the better part. William, thou hadst that name for thy grandfather’s sake. Labour so in holiness among the daughters to walk, as that thou mayest excel. So my children all, if I must be gone, I with tears bid you all Farewell. The Lord bless you all. Now dear Husband, I can do no less than turn unto thee, and if I could, I would naturally mourn with thee. And in a poor requital of all thy kindness, if I could, I would speak some things of comfort to thee, whilst thou dost mourn for me. 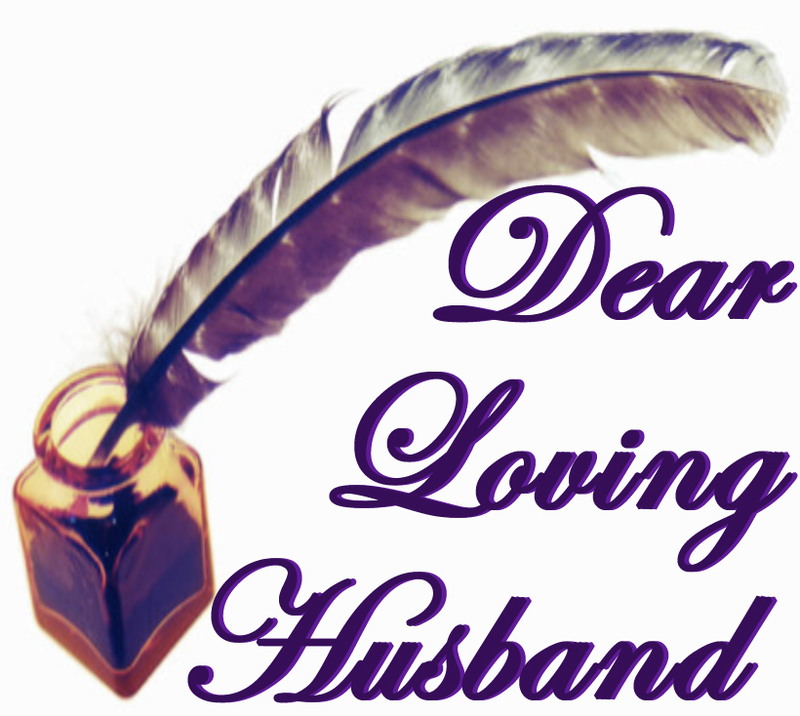 A tender-hearted, affectionate and entire loving husband thou hast been to me several ways. If I should but speak of what I have found as to these outward things; I being but weakly natured: In all my burthens thou hast willingly with me sympathized, and cheerfully thou hast helped me bear them: which although I was but weak natured; and so the more unabled to go through those troubles in my way: Yet thou hast by thy cheerful love to me, helped me forward in a cheerful frame of spirit. -But when I come to speak or consider in thy place, thy great pains and care for the good of my soul. This twenty years experience of thy love to me in this kind, hath so instamped it upon my mind, that I do think that there never was man more truly kind to a woman: I desire for ever to bless and praise the Lord, that in mercy to my soul, he by his providence ordered that I should live with thee in such a relation, therefore dear husband be comforted in this, ( although God by his providence break that relation between us, that he gave being to at first) that in thy place thou hast been a man of knowledge to discharge to God and my soul, that scripture commanded duty, which by the effects in me wrought, through the grace of God, thou mayest behold with comfort our prayers not hindered; but a gracious answer from the Lord, which is of great price and re- ward. Although my being gone be thy loss, yet I trust in and thro’ Jesus Christ, it, will be my gain. Was it not, to this end that the Lord was pleased to enable thee and give thee in heart to take (as an instrument) so much pains for his glory and my eternal good, and that it might be thy comfort: As all thy reading of scriptures and writing of sermons, and repeating of them over to me, that although I was necessarily often absent from the public worship of God, yet by thy pains and care to the good of my soul, it was brought home unto me: And blessed be the Lord who hath set home by the operation of his spirit, so many repeatals of precious sermons and prayers and tears for me and with me, for my eternal good: And now let it be thy comfort under all, go on and persevere in believing in God, and praying fervently unto God: Let not thy affectionate heart become hard, and thy tears dried away: And certainly the Lord will render a double portion of blessing upon thee and thine. If thou couldest ask me a reason why I thus declare myself? – I cannot answer no other but this; that I have had of late a strong persuasion upon my mind, that by sudden death I should be surprised, either at my travail, or soon after it, the Lord fit me for himself: although I could be very willing to enjoy thy company, & my children longer, yet if it be the will of the Lord that I must not, I hope I can say cheerfully, the will of the Lord be done, this hath been often my desire and thy prayer. Further, if thou could’st ask me why I did not discover some of these particulars of my mind to thee before, my answer is because I knew that thou wert tender hearted towards me, and therefore I would not create thee needless trouble. O dear husband of all my dearest bosom friends, if by sudden death I must part from thee, let not thy trouble and cares that are on thee make thee to turn aside from the right way. Dear husband, if by sudden death I am taken away from thee, there is infolded among thy papers something that I have to say to thee and others.